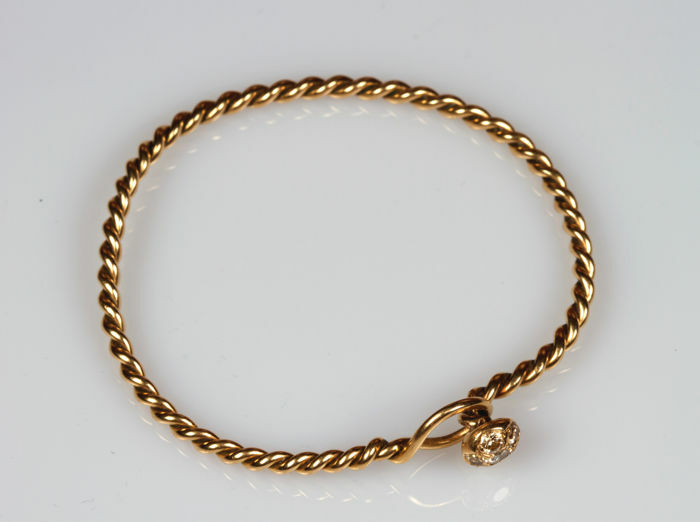 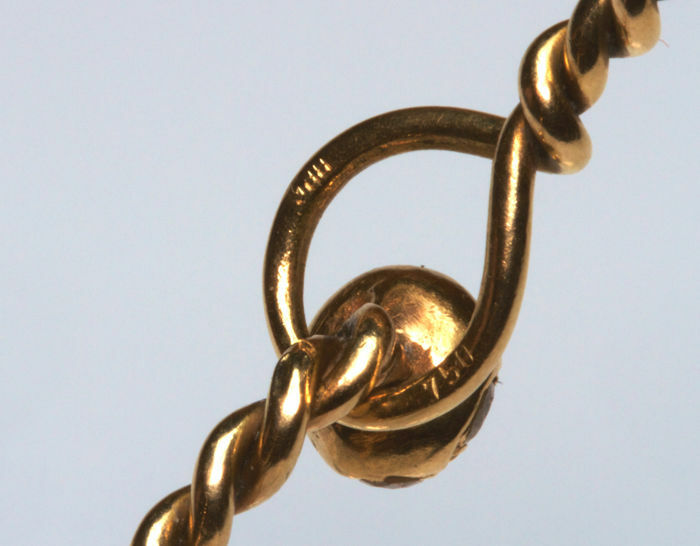 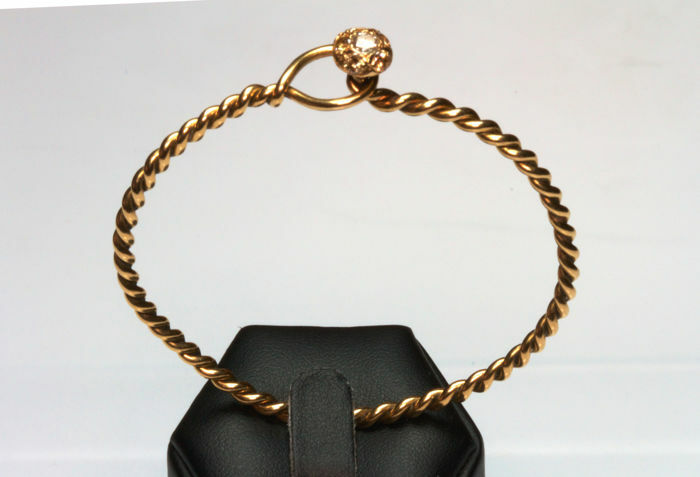 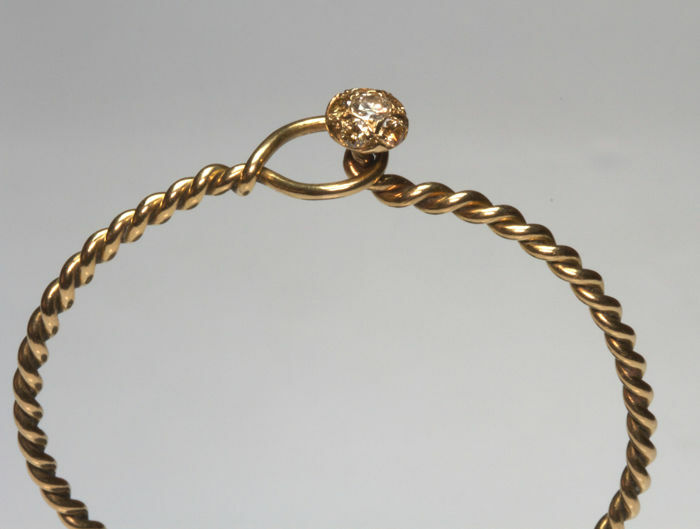 Rigid bracelet in yellow gold 18 kt with original "torchon" work. 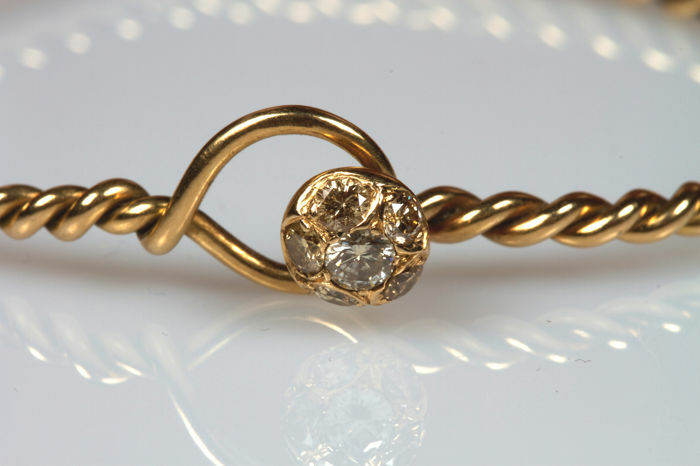 On the bracelet head are inserted 6 natural diamonds in brilliant cut. 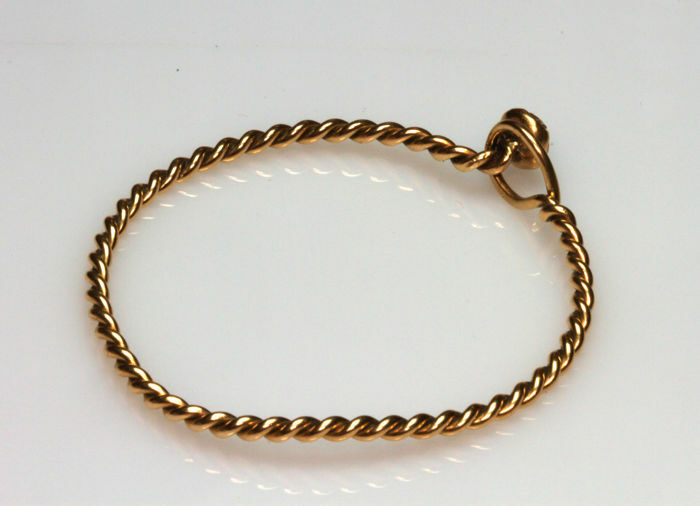 The bracelet has been crafted by hand.